Lees die storie by die bron Kannie al die fotos hier laai nie. Almost the size of Pretoria, this 62,000 hectare private reserve on the border with Kruger National Park has upped its game against poaching. 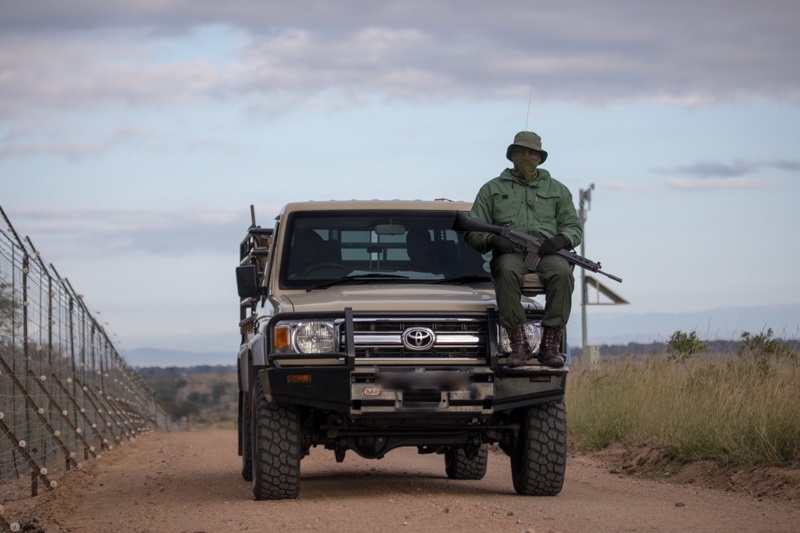 What was once an operation with a handful anti-poachers patrolling an electric fence and hiding in watch towers has now been turned into a 21st century fortress in the bush. 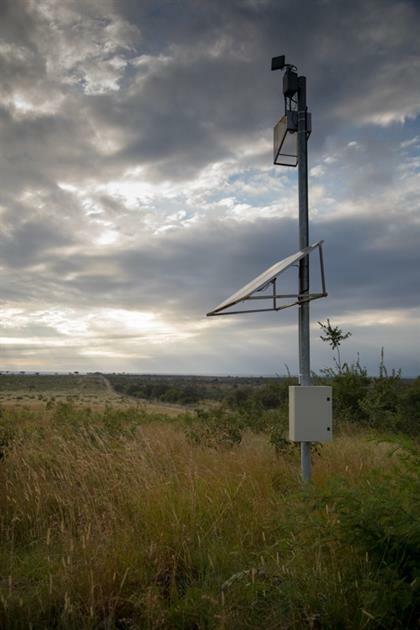 This is all thanks to a pilot project called "Connected Conservation", a collaboration between 48 private lodge owners, the tech company Cisco, and Dimension Data, the data solutions company. “While there had been great initiatives to protect the rhino over the years, these were reactive and the number of these animals being killed were increasing at an alarming rate,” said Bruce Watson, group executive for the Cisco alliance at Dimension Data, and mastermind behind the scheme. y combining tech like thermal imaging cameras and thumb-print scanners with things like sniffer dogs, the reserve tracks the movement of people before they get close to endangered animals. So whether poachers try cutting fences during the new moon, attempt to drop in by helicopter, or simply drive in and wait for the cover of night – chances are the anti-poaching team will know about it before a shot is fired. Since it began in 2015, the upgrades have brought about a 96% reduction in rhino poaching incursions, as well as reducing illegal incursions into the reserve by 68%. Key to the success has been reducing ranger response time from 30 minutes to 7 minutes. The real challenge, the team says, was getting the tech work in the harsh bush sun amid dust, insects, floods, lighting, and even pesky elephants. This was how they did it. 1. They built a secure ‘net’ effectively turning the reserve into a 62,000 hectare WiFi zone. By installing RAN, a radio reserve area network system, and LoRa towers (low-power wide area networks) the team can connect, operate, and power devices in remote areas, over large distances, via a control centre. The towers can operate by themselves thanks to solar panels with uninterruptible power supply (UPS) batteries that can last for days. 2. They gave rangers portable devices to access live data, track intruders and access the server remotely while out in the bush. The ability to share live video footage with patrols from across the reserve greatly enhanced the ability to counter incursions. 3. 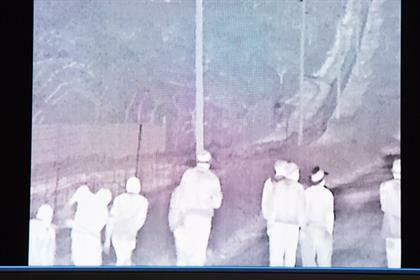 They installed thermal imaging cameras along the fence perimeter and entrances. Thermal imaging can tell the difference between humans and animals, and helps to spot poachers approaching in the dead of night. 4. The 72 kilometre stretch of electrified fence is equipped with acoustic sensors – while magnetic sensors were installed under the fence to detect guns. A border that extends for 72 kilometres. While the acoustic sensors will trigger a siren in the control centre as soon as the wires are cut, magnetic sensors can pick up guns as they are thrown over the fence. 5. Biometric scanners were introduced at entrances. Using fingerprint scanners and facial recognition systems the team can analyse real-time data from park visitors and vehicles, and also cross-reference them for historic suspicious behaviour. 6. They patrol on foot and with vehicles, use sniffer dogs, and have a helicopter team on standby. 7. Data is collected and analysed on a cloud-stored system. They also plan to use predictive modelling in the future. The anti-poachers say humans are creatures of habit. 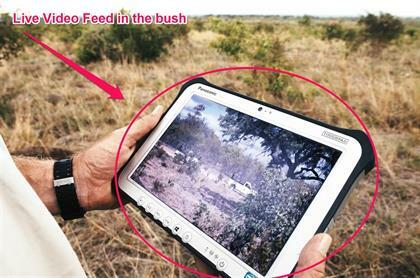 By using technology they have been able to pick up the trends of poachers and pre-empt their strategies. Using predictive modelling, the analytics team can estimate when and where an individual or vehicle is expected to exit the reserve. 8. They collaborate with local police; have a lawyer on standby to ensure arrests stick; and are linked to a national database to identify criminals faster. Although South Africa’s poaching levels fell slightly 1,028 rhino were poached in 2107. We lose up to three rhinos a day to poaching; if this rate continues the species will be extinct by 2025. According to the team, gathering intelligence outside the reserve is as important as protecting the animals in it. One thing that hasn’t worked: drones. The area is simply too vast for drones to be effective. When every minute counts, the anti-poachers found it was more efficient to send a team via helicopter than to try find poachers with a drone.